Share to Win Free Stuffs! 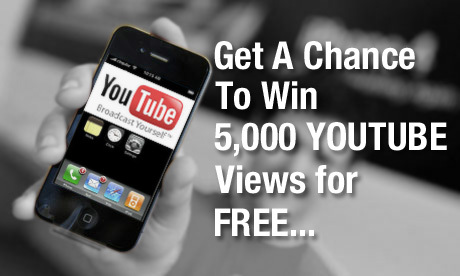 Be one of the Lucky Winners of the “YouTube Views Contest” from Buy Real Marketing. Buy Real Marketing will be giving away 5000 YouTube views to 10 most creative entries. 1. Grab the Buy Real Marketing YouTube video provided in this link. 2. Create a creative and unique caption, introduction or any form of content around the video. 3. Share the video either on Facebook or Twitter. Contest is open only internationally from June 28 to July 4, 2012. So hurry up and start sharing! Great youtube post contest!I expect more post blogs like this.It is one of the different type video showing that explains more latest youtube contest. This will help you in your online buy youtube subscribers business promotion.